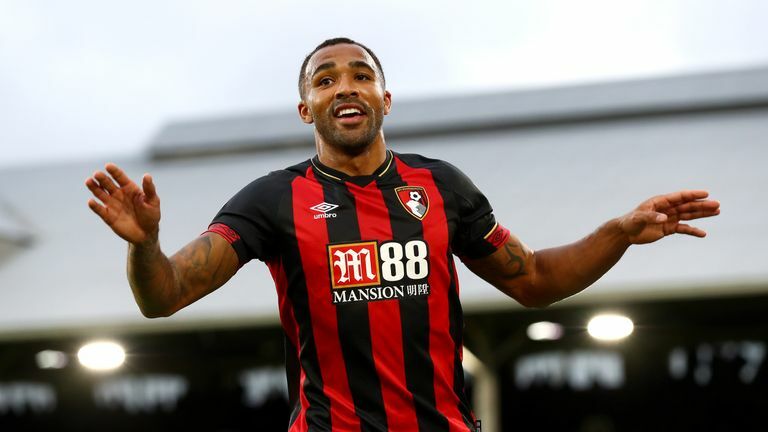 Upon being named in Gareth Southgate's England squad, many thoughts must have raced through Callum Wilson's head but perhaps the first was just how far he has come. "Days like this just prove that no matter what obstacles you face in life, you can always bounce back and more," he shared with his followers on social media. For those who have followed the striker's journey since he was a teenager at Coventry, the pride is huge. "I am made up for him," says Gregor Rioch, the club's former academy manager. "He is an example to anyone as it shows that anything can be achieved if you work at it," adds Rich Stevens, Rioch's successor with the Sky Blues. The two men know what it has taken for Wilson to succeed. Most are aware that he has had to overcome anterior cruciate ligament injuries to both knees since reaching the Premier League with Bournemouth in 2015. What is less well-known is that Wilson has been forced to deal with the mental and physical challenge of serious injury long before then. "He had a tough time as a kid as well," says Rioch. "Even as an apprentice, he had a couple of long-term injuries." Twice Wilson dislocated his shoulder and had lengthy spells out. It could have stifled his development but his mentality was too strong for that. "He applied himself magnificently whenever he was injured and came through it stronger." It is a journey that could have stopped before it started for more trivial reasons too. "As a 12-year-old boy he was here but he left because he couldn't get a lift in," says Stevens. "The lad who was bringing him stopped coming. Then he came back at 14 and went on from there. His story is a good one of setbacks and having to self-develop." While his new England team-mate James Maddison was the golden boy at Coventry's academy, Wilson's rise never felt inevitable. "Callum has been a bit different," adds Stevens. "He has had to work at it and really prove himself in League One, the Championship and then the Premier League. Everything he has got in the game he has had to work for." Rioch recalls that there were other strikers in his age-group at Coventry who earned international attention but have since drifted out of the game. "He has had to be the silver medallist reaching for the gold all his career and that desire has always been with him," he explains. "He has belief but he is humble with it." That attitude was apparent during his early loan spells in non-league football. Coventry sent him to Kettering Town and Tamworth before he established himself in the first team. On both occasions, the manager was Marcus Law. Speaking to him last year, he had warm memories of the boy in the Fiat Punto who embraced the challenge with a smile on his face. "I have found that some young players turn their nose up at it because they feel they are better than that," Law told Sky Sports. "They are knocking around with top players in training so they look down on non-league. But the reality is that there are a lot of academy players at clubs right now who could not cope physically or mentally in the National League. Law added: "What Callum has shown from a young age is a resilience to come through injuries. Mentally you have to be a strong, determined and positive person to come through that and he has done so time and again. He is a fantastic role model for youngsters and an example of how you can come back from injuries to reach peak performance." It speaks volumes for his character but Wilson's character has never really been in doubt. He is an absolute diamond," says Rioch. "He is great around the place. You never see him down. He is happy and you can usually hear him laughing before you can see him. He's great for a changing room and great for team spirit. Just a wonderful person to be around." One anecdote sums that up. Rioch checks his phone and the last conversation that he had with Wilson was because the player was contacting his old coach to share the good news about Maddison's own England call-up. "That's just the type of character that he is," he adds. "He is happy for others. I told him he would be next." And he was right. Gregor Rioch also spoke to Sky Sports about the young talent emerging at Wigan. Southgate has been open about his intention to supplement his existing squad with younger players, so, at 26, Wilson is something of a late starter. But not only are there some obvious extenuating circumstances in his case, there was little prospect of Southgate being able to ignore him. No Englishman has scored more goals in the Premier League this season. That is no fluke. The injuries have not slowed Wilson down. His intelligence coupled with his physical assets means he retains a remarkable ability to get into scoring situations on a regular basis. According to Opta, no player in the Premier League, regardless of their nationality, has had as many clear-cut chances to score as Wilson has so far this season. "He is showing what he can do with his quality, his pace and his power," says Rioch. "I think it's a really good decision by Gareth." Stevens adds: "The call-up is completely justified if you look at what he has been doing. I just hope he plays because he certainly deserves it." After all that he has endured to get here, there won't be too many begrudging him that.